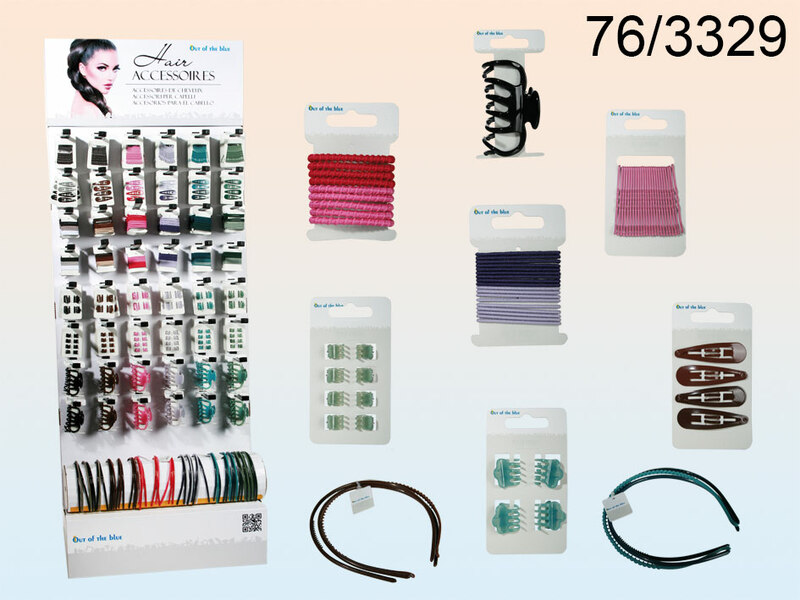 Assortment of hair accessories (for example hair ties, hair claws, hair grips, headbands, etc.). The given price is for 1 blister card with 1 type of product - visible in the picture. Assortment of patterns and colours. ATTENTION! When buying 340 items the display stand is free of charge! - ATTENTION! When buying 340 items the display stand is free of charge!